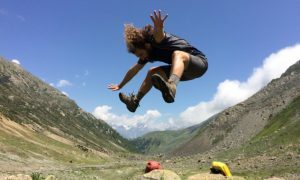 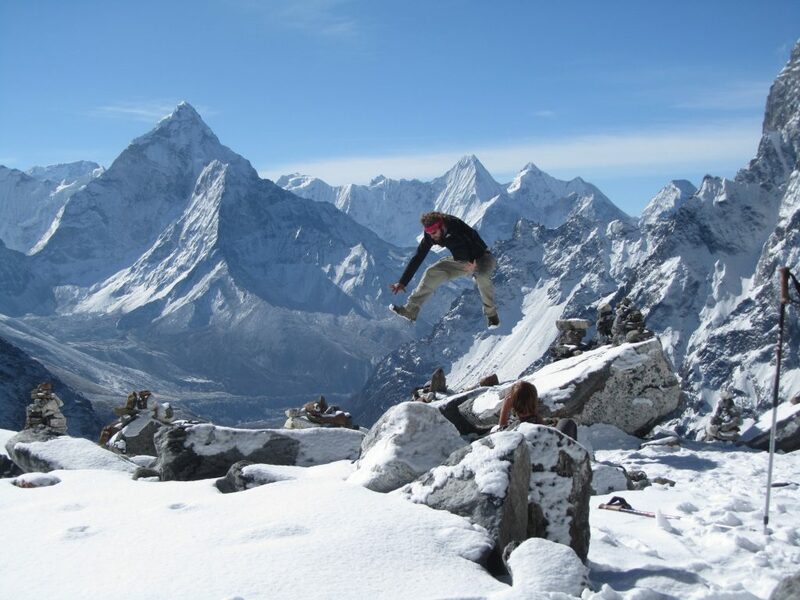 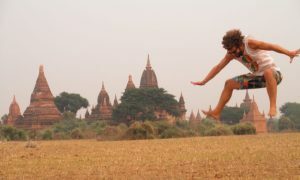 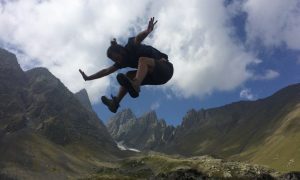 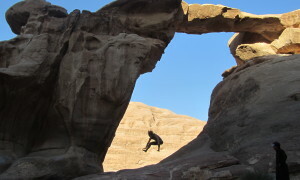 This is one of my favourite jumping pictures of all time and was taken as we made our way over the Cho La Pass. Here is my post on our unforgettable month’s trekking in the Nepali Himalayas. 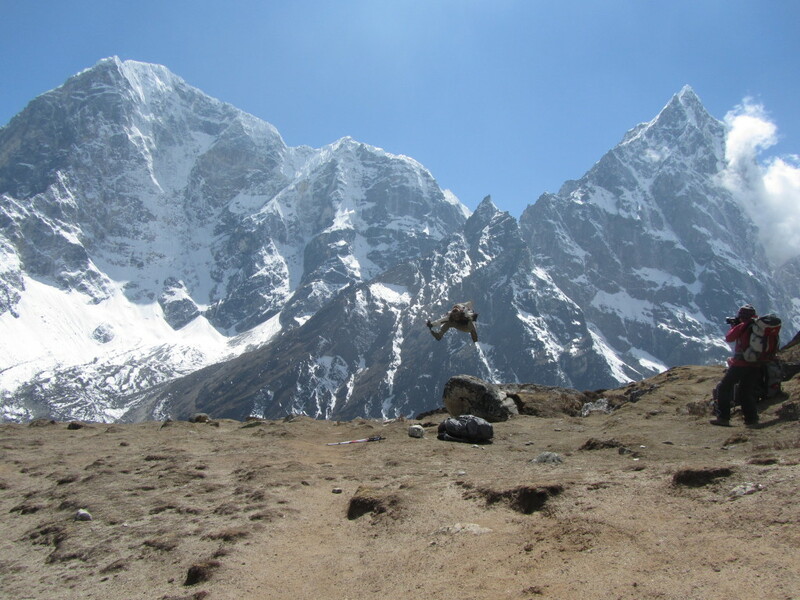 In front of the bakery in Tengboche with Everest in the background.